Stephanie qualified in 2009 from Cardiff Dental School with the Diploma in Dental Hygiene. She achieved merit level and also gained the External Examiners' awards for the Best Finals Theory and Clinical Case Presentation. Stephanie has been a part of the Smilemakers' team since 2010, working with both adults and children in the prevention and treatment of gum disease. She is passionate about working with her patients to ensure good oral hygiene practice and has a particular interest in treating severe gum disease. 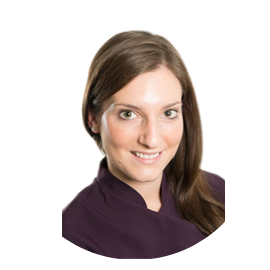 Stephanie is qualified to administer local anaesthesia, seal children's teeth, and provide tooth whitening. Stephanie regularly attends postgraduate courses to stay at the forefront of her profession. In her spare time Stephanie enjoys fitness, travel and spending time with her family and friends.